Welcome to the latest edition of the ‘Secretariat Quarterly’ for 2016, the e-newsletter that updates you on Commission news and the work of the WCPFC Secretariat team. This year has gone by very quickly. As I write, the Secretariat is in intense preparation mode for the 13th Regular Annual Session of the Commission (WCPFC13) to be convened in the idyllic settings of Denarau Island, Fiji from 5 to 9 December, 2016. Commissioners to the Fiji meeting will confront critical sustainability issues, as some fish stocks under the Commission’s management competence remain under severe pressure, including in overfished states. Immediate and meaningful conservation and management measures are imperative to rebuild those stocks to sustainable levels and to ensure others are maintained comfortably above those levels. The key multiyear conservation and management measure (CMM) that manages the three tropical tuna stocks of bigeye, skipjack and yellowfin has one year to run in 2017. In anticipation, the Commission in Fiji will also consider a candidate successor CMM. The Commission Chair, Ms Rhea Moss-Christian and the Secretariat have initiated consultations and developed a Bridging CMM on Tropical Tuna to focus discussions on developing a successor CMM that responds to the scientific advice and is user-friendly in terms of comprehension and implementation. It is framed as a bridging measure to acknowledge its link towards the important work of the Commission on developing harvest strategies for the same stocks. WCPFC13 will also continue to discuss what should be the high-level strategic priorities and directions for the Commission within the framework of its new Strategic and Corporate Plan. This is a conversation that, in my respectful view, is overdue and will require skillful and sensitive facilitation. As the Executive Director, it is my aspiration that the new Strategic Plan will provide clarity as to where Members want their Commission to be, 10 years down the road. My team and I look forward to seeing you in Fiji for WCPFC13 and to supporting the Commission to transact its business effectively and efficiently. WCPFC Executive Director, Feleti P Teo chairs the Areas Beyond National Jurisdiction Third Tuna Project Steering Committee at Food & Agriculture Organization Headquarters in Rome, Italy, July 2016. 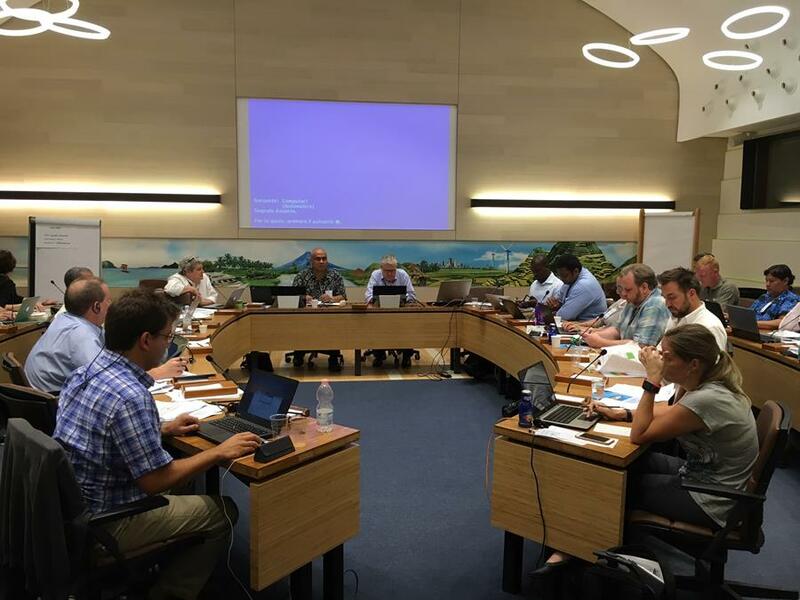 The WCPFC Secretariat provided a strong contingent to the third meeting of the Common Oceans ABNJ Tuna Project’s Steering Committee which took place at FAO Headquarters in Rome on 6-8 July 2016, just prior to the biennial COFI meeting. The Project harnesses the efforts of a large and diverse array of partners with the objective of achieving sustainable and efficient tuna management and biodiversity conservation. 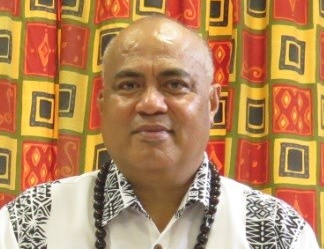 In his first time attending, WCPFC Executive Director, Feleti P Teo was elected chair for the three-day meeting and led the proceedings throughout. The WCPFC Secretariat was also represented by Finance and Administration Manager Aaron Nighswander and Technical Coordinator-Sharks and Bycatch Shelley Clarke. Other regional participants included FFA, the government of Fiji, the Fiji Fishing Industry Association, and global NGOs Birdlife, ISSF and WWF. · Convening of the first joint analysis workshop on the effectiveness of sea turtle mitigation measures. The WCPFC team was awarded two “highly satisfactory” and one “satisfactory” ratings for the three components and was commended for its success in establishing new modes of data sharing. The Secretariat’s shark and bycatch work, along with the fisheries management and MCS components of the Common Ocean ABNJ Tuna Project, is now in the midst of the mid-term evaluation as some members will have noted from interview requests received during TCC12. Taking onboard the suggestions and corrective actions of the mid-term evaluators, the Common Ocean ABNJ Tuna Project is scheduled to run through January 2019. WCPFC Executive Director, Feleti P Teo and Scientific Committee Chair, Berry Muller with Indonesian Chairman of the Agency of Marine and Fisheries Research and Development, Muhammad Zulficar Mochtar, Bali, Indonesia, 3 Aug 2016. 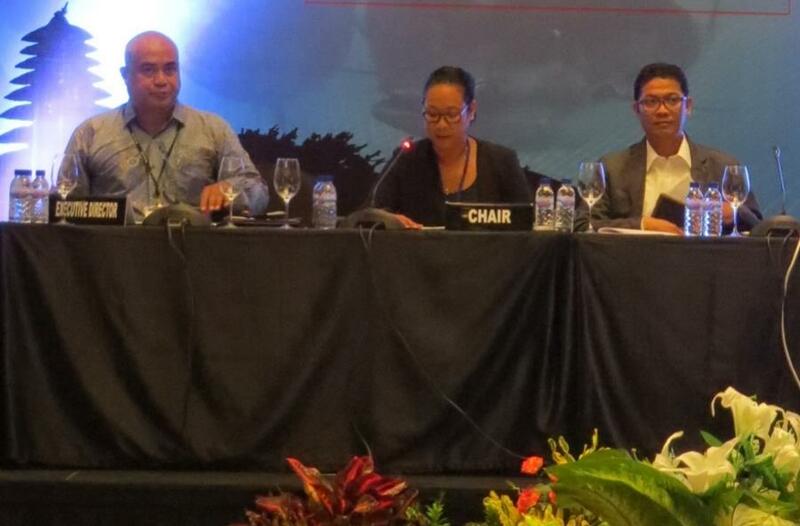 The 12th Regular Session of the Scientific Committee (SC12) took place in Bali, Indonesia, 3-11 August, with opening addresses by the WCPFC Chair Rhea Moss-Christian, the SC Chair Berry Muller, and the Executive Director Feleti Teo. The session covered review of the Pacific tuna fisheries, tuna catch data gaps, stock assessments of key tunas and sharks, development of a harvest strategy framework, bycatch mitigation issues, SC work programme and budget, and other administrative matters. The provisional total tuna catch in the WCPFC statistical area (WCPO) for 2015 was estimated at 2,687,840 metric tons (mt), the third highest on record and nearly 200,000 mt below the previous record catch in 2014 (2,882,511 mt); this catch represented 80% of the total Pacific Ocean catch of 3,379,789 mt, and 569% of the global tuna catch (the provisional estimate for 2015 is 4,799,697 mt, and when finalised is expected to be the second highest on record). - albacore catch (120,043 mt - 4%) was the lowest since 2011. · Continue to develop an index of abundance based on purse seine data, and undertake regular large scale tagging cruises. Regarding the Pacific bluefin tuna stock, SC12 noted that the Pacific bluefin tuna spawning stock biomass is depleted to 2.6% of the estimated unfished level. SC12 emphasized that this depletion level is considerably below the limit reference point of 20% of the unfished level, though the Pacific bluefin tuna stock remained below 20% of the unfished level for most of the time of assessment. The Commission is developing a harvest strategy framework. SC12 reviewed six elements to be included in the framework, and provided relevant advice and recommendations to the Commission. While noting an MSE Expert Consultation meeting hosted by SPC-OFP in June 2016, SC12 reviewed information related to biologically reasonable rebuilding timeframes for bigeye tuna and provided that the estimated minimum rebuilding time in the absence of fishing is 2-4 years. · SC12 confirmed that SC13 in 2017 would be held in the Cook Islands and proposed that SC14 in 2018 be held in Korea. WCPFC Executive Director, Feleti P Teo and WCPFC Chair, Rhea Moss-Christian with Federated States of Micronesia President Peter Christian and Republic of Palau State Minister Billy Kuartei at WCPFC Headquarters in Pohnpei, FSM, 9 Sep 2016. The 47th Pacific Islands Forum (PIF) Leaders' meeting was held in the Federated States of Micronesia in September of this year. The WCPFC Secretariat was happy to assist the PIF Secretariat with the meeting logistics where possible. Even prior to the start of the Pacific Islands Forum Leaders' meeting, the Polynesian Leaders Group (PGL) held their meeting at the Secretariats Headquarters. Several heads of state attended this regional meeting and were happy to see the WPCFC headquarters for the first time. On the final day of the meeting, several Pacific leaders had their dialogue meeting with a development partner at the Commission headquarters. During the PIF meeting, the Commission’s Chair, Rhea Moss-Christian, gave a statement to the Pacific Islands Forum plenary session on behalf of the Commission. 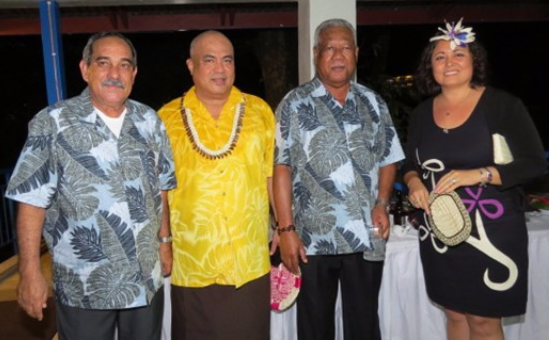 Following the Pacific Islands Forum plenary session the Executive Director, Feleti Teo OBE, hosted a dinner reception for the heads of state, ministers, and heads of delegations from members, associate members, observers, dialog partners and local leaders. 32 of the PIF’s Member States, Associate Members and Dialogue Partners are also Members of the WCPFC. The reception was well attended and for a number of leaders, it was the first time to see the WCPFC headquarters building. Consultation Meeting to develop the new WCPFC strategic and corporate plans was held at the College of Micronesia-FSM Gymnasium in Pohnpei, FSM, 19 Sep 2016. Prior to the 12th Regular Session of the Technical and Compliance Committee, a two-day consultation meeting on development of the new strategic and corporate plans for the Commission was held in Pohnpei. The consultation was facilitated by a consultant from the Consensus Building Institute (CBI) who was contracted to undertake the work. The consultant presented the results of interviews and surveys from 30 key informants, including representatives of member states and participating territories, cooperating non-members, inter-governmental organizations, and non-governmental organizations representing both environmental conservation and fishing industry interests. During the consultation meeting the participants continued to provide input in the Commission’s 10 year Strategic Plan and considered some possible ways to achieve those goals through a 3 year Corporate Plan. Since the meeting, Members have been provided with an updated version of the draft Strategic Plan for further input with the goal of presenting a draft of the plan at the annual meeting in December. 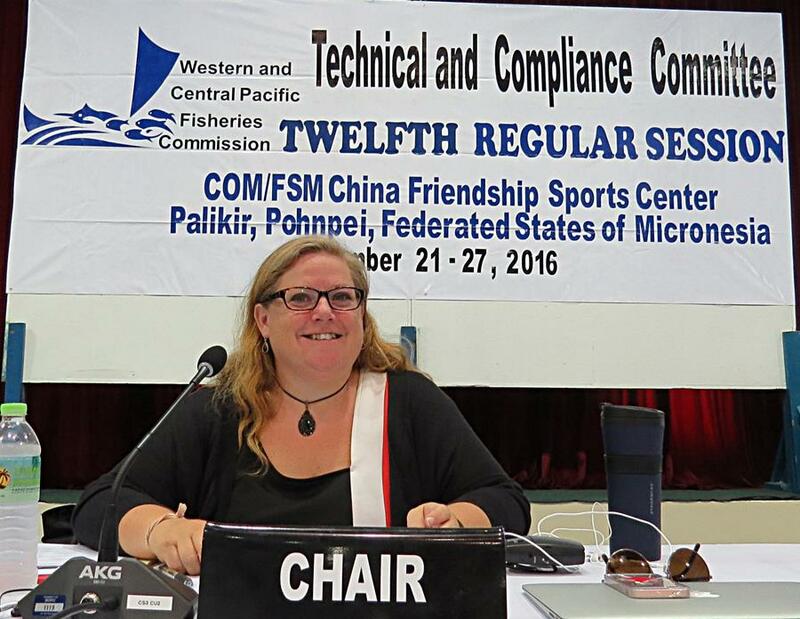 Chair of WCPFC Technical & Compliance Committee, Ms Alex Cole at the 12th Technical & Compliance Committee meeting in Pohnpei, FSM, 21 Sep 2016. The Twelfth Regular Session of the Technical and Compliance Committee (TCC12) was held 21 - 27 September 2016 in Pohnpei, Federated States of Micronesia, chaired by Ms Alexa Cole from United States of America. Around 170 WCPFC Commissioners, MCS officers, and fishery managers attended the meeting, representing WCPFC Members, Cooperating Non-Members, Participating Territories, and observers from inter-governmental and non-governmental organizations. TCC12 committed at least two and a half days to the review of the full draft Compliance Monitoring Report covering 2015 activities prepared by the Secretariat in accordance with CMM 2015-07, and agreed to recommend a provisional Compliance Monitoring Report to the Commission for consideration at WCPFC13. This year the combination of the revised CMM, Commission pre-agreed list of obligations to be assessed by the CMS and the Secretariats compliance case file system together contributed to TCC successfully completing assessments for all obligations identified for assessment in 2016. TCC12 also gave consideration to the Commission undertaking a review of the CMS at the end of 2017. The two cases related to alleged illegal activities undertaken by two vessels during 2015-2016 were reviewed by TCC12 and a recommended Provisional IUU list was forwarded to the Commission. TCC12 also recommended that the three vessels currently on the WCPFC IUU vessel list are maintained. The Commission will consider the TCC12 recommendations and adopt a WCPFC IUU vessel list at its meeting in Nadi. - Administration of Data Requests and gaps in Scientific data submissions. · from Mr Brian Kumasi (Papua New Guinea) who reported on the intersessional activities of the FAD Management Options Working Group which met following TCC12 28 – 29 September in Pohnpei, Federated States of Micronesia. TCC12 participants also discussed the WCPFC Chairs bridging CMM proposal and two draft memorandum of cooperation with Commission for the Conservation of Southern Bluefin Tuna (CCSBT). Next meeting (TCC13) is provisionally scheduled for 27 September – 3 October 2017 in Pohnpei and will be agreed at WCPFC13 in December 2016. WCPFC Assistant Compliance Manager, Ms 'Ana Taholo with Yaizu Fishery High School instructors and students at WCPFC Headquarters in Pohnpei, FSM, 27 Oct 2016. 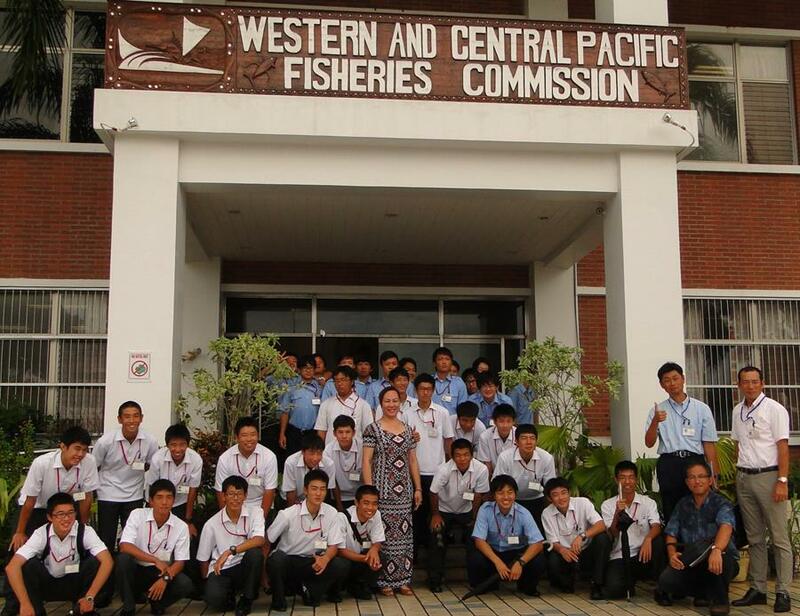 Students and instructors of Yaizu Fishery High School in Shizuoka, Japan visited the WPCFC Headquarters last October. Assistant Compliance Manager, 'Ana Taholo gave the visitors a general presentation on WCPFC and a tour of the WCPFC Headquarters office. The WCPFC’s Annex building has also been used recently by VITAL-FSM PetroCorp, Japan International Cooperation Agency (JICA), and Forum Fisheries Agency (FFA) for workshops and meetings.